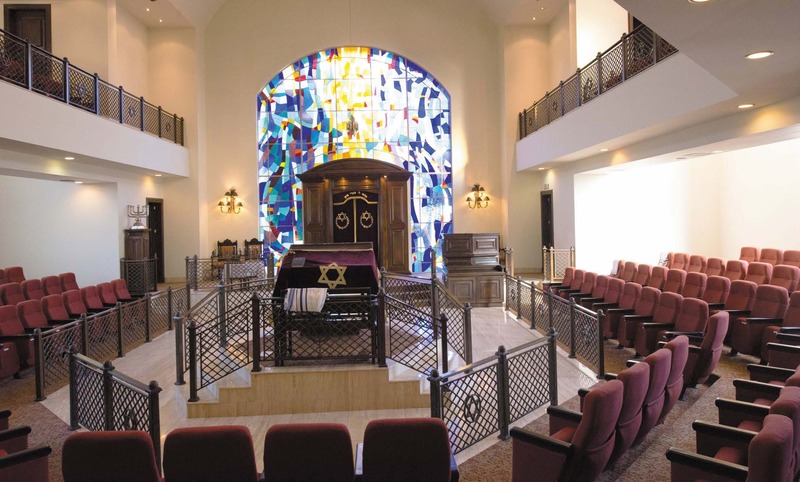 Visit Our Jewish Community, The Synagoge & Tour Inside The Community. Visit Also The Jewish Cementery. Optional Visit To The Middle Of The World. Abraham Vigoda, 45, is president of the Ecuadorian Jewish community based in Quito for almost 2 years. In an exclusive interview for Aurora, she tells the story of the community that turned 80 years old, the Jewish life that now has its 600 members and the uncertain future of a small but active kehilá , which seeks to survive many more years. while we have Jews living in Ecuador "
How did the Jewish community start in Ecuador? The Jewish community of Ecuador was founded in 1938 under the name of the Israelite Benefit Association of Quito. It was created by Julio Rosenstock, a native of Austria, who first arrived in the country in 1914, hired to build part of the railroad in Ecuador. Rosenstock returned to his native country where he was even consul of Ecuador. When the rise of the Nazi government began, it returned to Ecuador in 1934. The community was founded in 1938 with the beginning of the arrival of Jews who began to escape from Europe. The first came mainly from Germany, Austria, Hungary, Italy, Poland, Czechoslovakia and Romania. In total, approximately 4,500 Jews arrived. Ecuador was one of the few countries that opened the doors to Jews. Where did most of the Jews who arrived settle? The Jews came mainly by boats to port cities and especially to Guayaquil, which has a very hot climate. Most began to migrate to the Ecuadorian highlands, mainly to Quito, with a climate relatively more similar to the countries where they lived. Within Quito, they all begin to settle practically in the same neighborhoods, where the first synagogue and the meeting center for the Jews are also built. With the passing of time they begin to be distributed in different parts of the city. How many Jews are currently living in Ecuador and what is the nature of the community? It was estimated that some 4,500 Jews were received in Ecuador, although many left and used Ecuador as a stopover point. In the end, the community stabilized around 1,000 Jews in Quito. At present we are around 600 Jews. We have only one synagogue in Quito, we want to stay united beyond the current. Although the community was initially Orthodox, then we started to have a conservative tendency and today we have a rabbi of orthodox-modern tendency. The community has been shrinking mainly because many are leaving the country. Many students finish and go to other countries. A percentage of them no longer return and they stay in these countries and because of this the community is being reduced. Is assimilation a challenge for the continuity of the Jewish community in Quito? The truth is that we try to be very inclusive, but we certainly have assimilation. There are cases where, after marrying a non-Jewish person, the Jew has not returned to the community and no longer appears. There are other cases where they marry non-Jews but still attend the community especially for high holidays and some other holiday. We have conservative and orthodox conversions. Our intention is to try to keep everyone together maintaining the religion. In those cases where the children are no longer Jewish by halacha, because the mother is not Jewish by birth or conversion, our mission is that at least these children are ambassadors of our religion and when they hear something speaking of Judaism, they leave to support and speak well of us. Are there Jews in other cities in Ecuador? The Jewish community of Quito is the largest with around 600 people. In Guayaquil there are approximately 80 to 100 Jewish people and in Cuenca we have 1 or 2 people, no more, from traditional communities. Is there anti-Semitism in Ecuador? There is not a problem of anti-Semitism, thank God. We have specific cases in relation to Israel, for example with the 70 years there were some demonstrations against the Israeli "occupation", as these groups call it, but we as Jews do not feel any persecution; beyond that Ecuador has had approach to certain countries like Iran during the previous government. How is the relationship of the Jewish community of Ecuador with the State of Israel? It is a country that we love very much and we are very aware of its situation, regardless of whether or not we share the Israeli policy of which we do not believe. We have a lot of relationship with the Israeli ambassador here, we receive information from him, we constantly communicate. On the other hand, we encourage trips to Israel and, in fact, during the last 10 years when the students finish college most are going one year to do different programs in Israel and even some have stayed there. What institutions or spaces does the community have? In the community we have only one synagogue, something that is important for us to maintain unity. We have a youth movement that is currently affiliated with Hanoar Hatzioni, in which children from age 5 to 18 participate, which is a very important bastion for us. We have good participation, people train, study, travel to certain "majonim" (seminars) in other countries of America. Since we are such a small community, it is very interesting that our young people start making Jewish friends from other countries. Speaking of young people, how is the community in the educational aspect? Regarding education, the Jewish community of Ecuador founded a school in 1973 but it is a secular Hebrew school that, academically, is ranked among the best in the country. In this school where there are about 800 students, only 10% are Jews. In that school the only thing that occurs in subjects related to Israel and Judaism is a subject called "Jewish Culture" where comments are made on festivals, history, and Hebrew classes are given that are compulsory until they are 10 years old. From that age, Hebrew is a third language that students can choose, Hebrew or French. To complement this, we have "Talmud Torah" classes where once a week, after school hours, young people go to the community and receive Jewish religion classes. Children who leave school, Jews and non-Jews, develop a special relationship with Israel. For 10 years after the last year of Hebrew school where there are about 50 students by promotion of which only 5 or 6 are Jews, all travel to Israel for about two weeks. This is a very interesting initiative since the 50 graduated boys return to Ecuador and speak very well of Israel. What is the future of the Jewish community of Ecuador? The small Jewish communities in general have some problems, that although in proportional subjects they can be that it is equal to the other communities, in terms of volume it becomes very complicated. For example, the mass of Jews that is needed for different activities such as prayers. We have a hard and complicated job, but we will continue fighting for as long as we have Jews living in Ecuador. It is an active community, very supportive and we believe that there is a community for many more years. What does the Jewish community of Ecuador need support? I believe that the community mainly needs education issues: how to educate people so that, based on that, they want to keep Judaism alive, stick to their traditions, their values, their culture. To be able to achieve that education leads our grandchildren to remain Jews live where they live, be it in Ecuador or that they have integrated to another community, but that they live with the values ? ?that characterize us to the Jews. Jews have been living in Ecuador since the Spanish conquest in the 1500s, but those early Sephardic families almost completely assimilated. Centuries later, as the Nazis rose to power, Eastern European Jews began arriving in Ecuador, leading to the Jewish population’s peak of 4,000 in the 1950s. Due to rampant assimilation and emigration, today Ecuador has only about 800 Jews. The majority live in Quito, the beautiful capital nestled near the equator at an elevation of 9,350 feet. 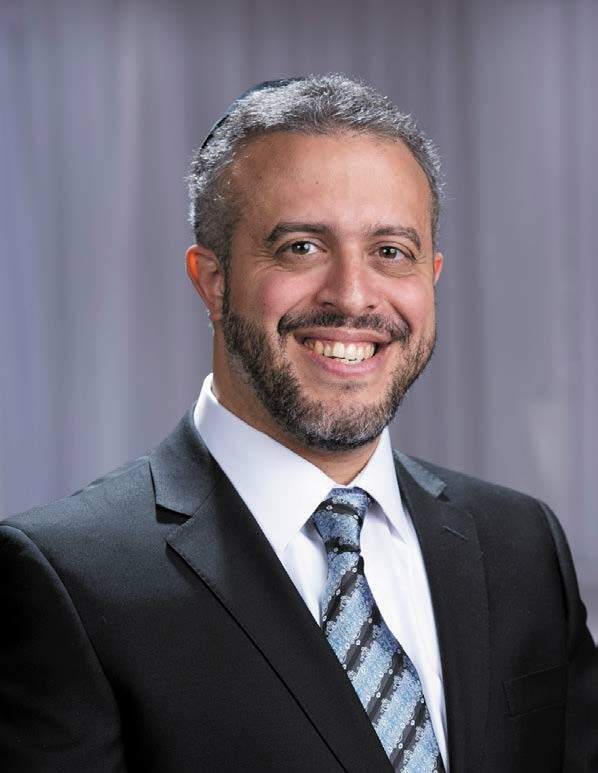 For the past year, Rabbi Nir Koren has served as the rabbi of Communidad de Judia del Ecuador, a congregation and community organization in Quito, known simply as “the Community.” The lawyer-turned rabbi speaks Spanish, English and Hebrew fluently. 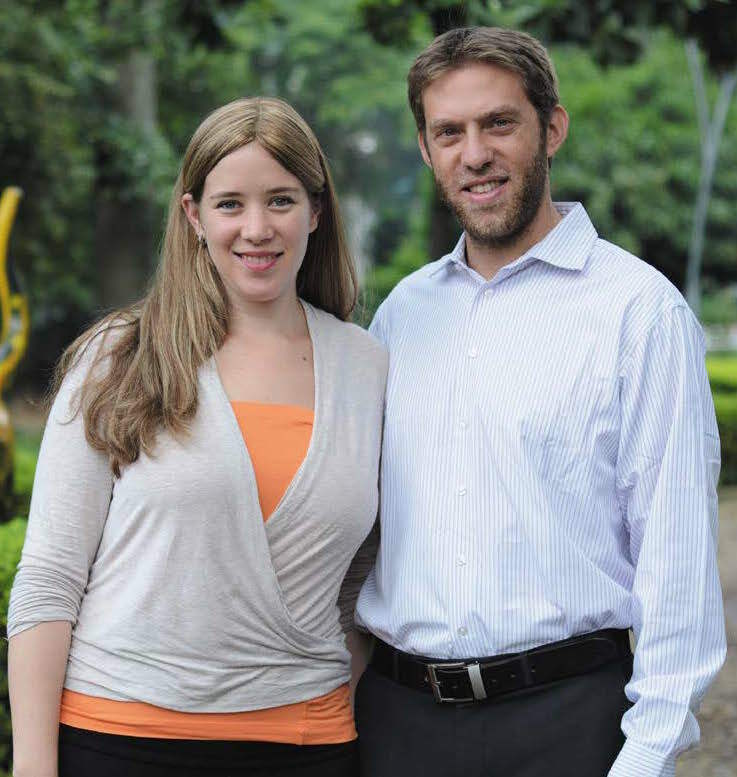 In his mid-thirties, Rabbi Koren, originally from Israel and married to Andrea, an Argentinian, has spent his rabbinic career strengthening small Spanish-speaking Jewish communities around the world. Before arriving in Ecuador, the rabbi and his wife led Orthodox communities in Colombia and Mexico. Rabbi Shoshan Ghoori was born in New York to a distinguished rabbinic family. He studied in Israeli yeshivot, including Beit Meir and Yeshiva Toras Moshe, and received rabbinical ordination from Beth Medrash Govoha in Lakewood, New Jersey. In addition, he was instrumental in creating the Spanish translation of the ArtScroll Siddur, and established the Kosher Chile organization, as well as latinkosher.com. Having had a hand in Chile’s religious renaissance, Rabbi Ghoori hopes that Ecuador can experience the same. JA: Is it true that the Jewish community in Ecuador is experiencing a religious renaissance? Rabbi Nir Koren: In Quito, the capital city where the bulk of the Jewish community resides, many, many Jews are interested in learning more about living a Torah lifestyle. There is a tremendous desire among Jewish Ecuadorians to grow as Torah Jews and I am thrilled to play a part in bringing the people of this community closer to their roots. Rabbi Shoshan Ghoori: Outreach should not be limited to North America. Assimilation is an international catastrophe for the Jewish people. True, Ecuador has a small Jewish community, but we need to care about all Jews. When Avraham Avinu prayed to Hashem to spare Sodom, he said, “Ulai yimtza’un sham asarah?—What if ten [righteous people] were there [in Sodom]?” He cared about every last person, and Hashem said He would save the city even if only ten good people were found in it. In order to understand the community in Ecuador, you need a little background. For many decades, the Jewish community was predominantly Conservative or Reform and was under such leadership. Over the past few years, however, the community has undergone a religious reawakening and actually sought out Orthodox rabbis—Rabbi Koren and his predecessor—because the community specifically wanted to move in that direction. I would also like to bring Orthodox Jews to tour the Galapagos Islands and to mainland Ecuador . . . to establish a strong relationship between world Jewry and the Ecuadorian Jewish community. JA: What inspired this growth? Rabbi Ghoori: Despite the fact that the Jewish community of Quito is small, it’s very dynamic—there’s a lot of energy there. People want to grow; there’s a real desire to learn and to move toward becoming more religious. The community now has kashrut standards in place—the Jewish Community Center, the main hub of Jewish communal life in Quito, is kosher; the community catering hall is kosher. Rabbi Koren, working together with the OU, made this possible. This is a highly educated, intellectual, business-oriented and business-savvy community. In business you are constantly evaluating what works and what doesn’t. The community saw what was working and what wasn’t when it comes to preserving Jewish identity. They saw that the South American Jewish communities that embraced Orthodoxy are growing. The others are not. Jewish Ecuadorians understand the lesson of history: small non-Orthodox Jewish communities tend to vanish over time. After one or two or three generations, everyone intermarries, and there is no Jewish community to speak of. They also saw what happened in places like Chile. JA: Tell us about the religious revolution that took place in Chile. Rabbi Ghoori: There was almost no Orthodox presence in Chile in the 1980s. Some 15,000 Jews lived there, but it was mostly a secular Jewish city, lacking the Torah infrastructure and rich religious life found in Brazil and Argentina. The Jewish Community Center, a multi-million-dollar facility built in 2000, serves as the hub of Jewish life in Quito. 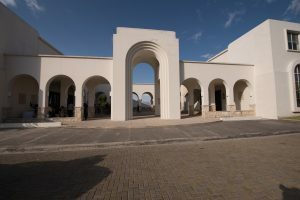 This imposing building offers a wide range of religious, educational, cultural and social services. The complex includes a mikvah, a shul, a kosher kitchen, tennis and squash courts, a swimming pool and a youth center. With the support of Canadian businessman and philanthropist Dov Friedberg in the 1990s, I established an Aish HaTorah branch in Chile and the first Sephardic congregation in Chile for Jews of Mediterranean and North African descent. With the help of many individuals and organizations, the teshuvah movement really took off in Chile. Many of my students are now running Torah institutions there and Chile is one of the strongest Jewish communities in South America. Currently, there’s a kollel, an Orthodox-run school (Maimonides) that serves children from kindergarten until twelfth grade, shuls, several kosher restaurants, and one amazingly successful NCSY branch that has helped the community grow in countless ways. The Jews in Ecuador saw this and they hired Rabbi Koren because they made a decision; they want to revitalize Jewish life in their city. Rabbi Koren: It’s important to understand that South America is not one country; there are twelve distinct countries on the continent. Each country has its own personality, its own distinct characteristics. On the Atlantic coast, Brazil, Argentina even even Uruguay have solid Orthodox communities. Unfortunately, on the West Coast—Chile, Peru, Ecuador and Colombia—the Jewish communities tend to be weaker and struggle with assimilation. My wife is from Cordoba, Argentina. (For her it wasn’t difficult to understand why I wanted to go to Ecuador when the opportunity arose.) Argentina has a relatively huge Jewish community, with 250,000 members, it’s the strongest in South America. But it’s not a ba’al teshuvah community; the Jews there had remained Orthodox throughout. So while the Jewish communities of Chile and Argentina are both are strong and growing, they are very different culturally. JA: How did you come to be a rabbi in Ecuador? Rabbi Koren: I studied at Ohr Torah Stone’s Straus-Amiel Program in Israel. The program is committed to training rabbis to effectively strengthen Jewish identity and existence in communities throughout the Diaspora. Subsequently, my wife and I were sent to Mexico—first the Jewish community in Monterrey and later, Cancun. After that we served in Colombia for some time. The Straus-Amiel Program connected us to the position in Ecuador. JA: What are you doing to bring people closer to their roots? Rabbi Koren: Quito has an amazing Jewish community. Its members are eager to learn and to grow spiritually. We recently launched a mezuzah project. It gives me an opportunity to enter people’s homes and get to know them. I spend much of my time visiting with people, sitting with them and listening to their stories. Not everyone feels comfortable inviting the rabbi to their home, but if I come to put up a mezuzah or to check a mezuzah, we can get to know each other in a comfortable way. Housed within the Quito Jewish Community Center’s thick stone walls is one of the most beautiful synagogues in the Americas. We also started a talmud Torah project. One day a week, children come to the Community Center after school and study Torah. We also started offering a Talmud shiur for men. During the week, we do not pray in the Jewish Community Center; we pray in people’s homes. We circulate among the community members—every day at a different location. We pray, eat a delicious breakfast together, and then study halachah for five minutes—right now we are finishing, for example, the halachot of reading the Torah and the aliyot l’Torah. Afterward, everyone leaves for work. We also started a youth movement. JA: Why do you circulate in people’s homes rather than use the shul as a base? Rabbi Koren: Firstly, commitment. When someone offers his house as a place to pray, he has to show up and make sure there’s a minyan. He calls his friends and neighbors. He is personally invested in the success of the minyan. Secondly, often people won’t show up to a shul, but they will show up to an individual’s home. Quito has an amazing Jewish community. Its members are eager to learn and to grow spiritually. JA: What does the Ecuadorian Jewish community need right now? Rabbi Ghoori: It’s a small isolated community and it needs to be connected to the larger Jewish world. When I started doing outreach work in Chile, the kollel we started was supported by the Friedbergs. This in and of itself gave Chilean Jewry a bond with North American Jewry, because many who would come to Chile from Canada or the US had heard of the Friedbergs. Similarly, Ecuadorian Jews need to feel part of something bigger. I’d like to connect them to other South American Jewish communities first—maybe bring thirty students from Chile to spend Shabbat with thirty students from Ecuador. We need to bring NCSY here as we brought it to Chile. Putting Jewish Ecuador on the map will give this small community a spiritual boost. I would also like to bring North American Orthodox Jews to tour the Galapagos Islands and mainland Ecuador. This would not just be an opportunity to see a beautiful country on South America’s west coast—it would be a way to establish a stronger relationship between world Jewry and the Ecuadorian Jewish community. 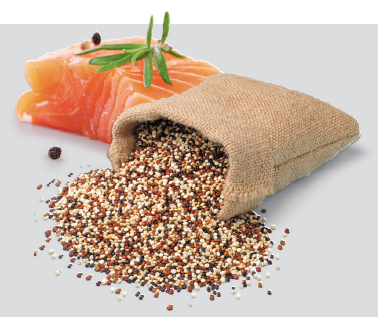 Supervising nearly 600 plants in Central and South America, OU Kosher has a significant presence in South America, certifying products including olive oil, dried fruit, quinoa and fish—especially tuna and salmon. 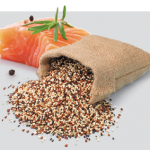 “The South American kosher market is growing since the kosher market the world over is growing,” says Rabbi Yitzchok Gutterman, OU Kosher regional director of South American operations. Companies in South America are attracted to kosher because they know that US companies demand kosher certification. “And since the kosher market in the US is huge, these companies seek out the OU,” says Rabbi Gutterman. How strong in the OU’s presence in South America? “We are in nearly every country in South America,” says Rabbi Gutterman. OU Kosher works hand in hand with governmental agencies in South America, in countries rich with opportunity. In November of 2017, the Ecuadorian government invited OU Kosher representatives to speak at an agriculture event in an effort to help advance the country’s economy. The government even offered to subsidize a percentage of the cost towards obtaining OU Kosher certification.